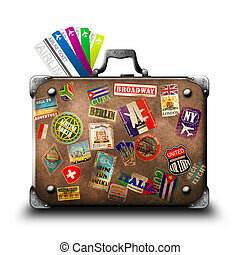 Old suitcase with royaly free travel stickers. 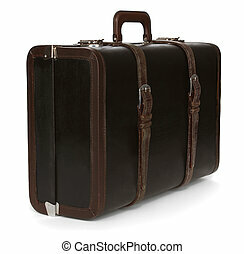 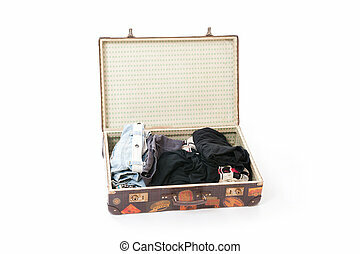 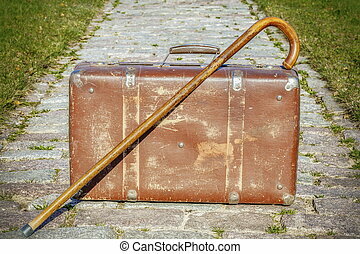 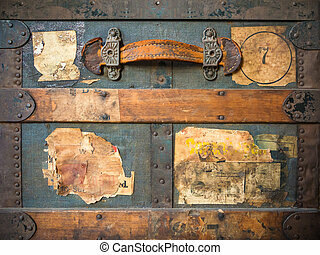 Old suitcase isolated on a white background. 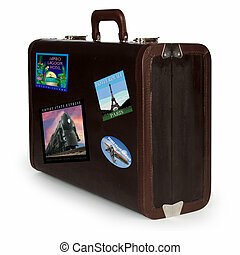 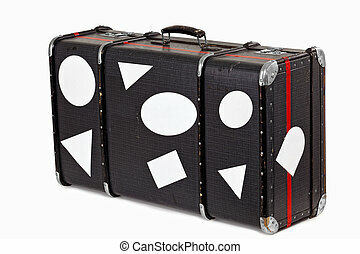 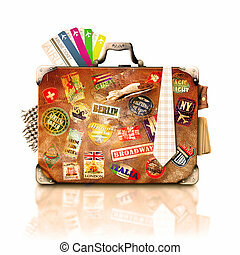 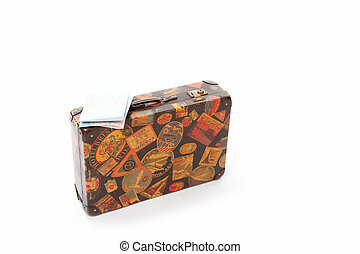 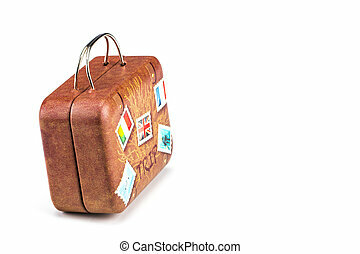 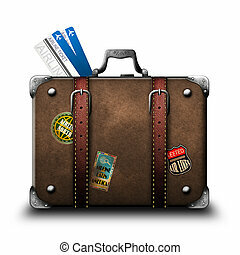 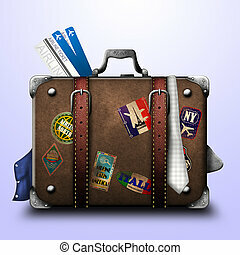 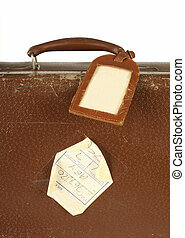 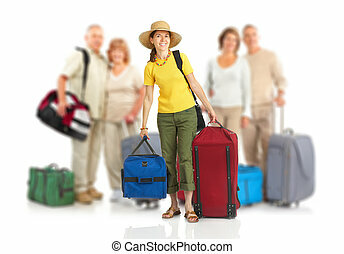 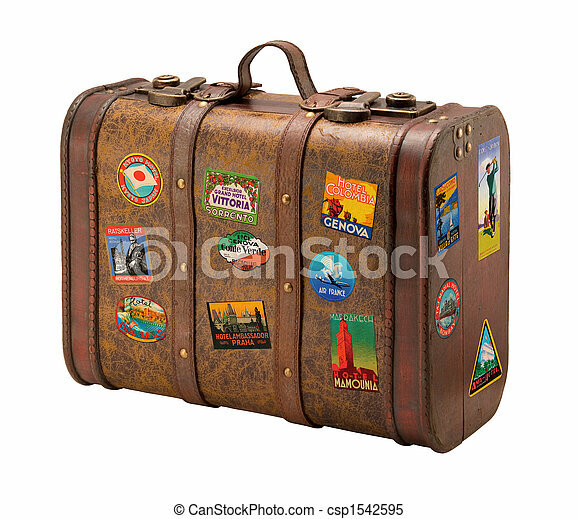 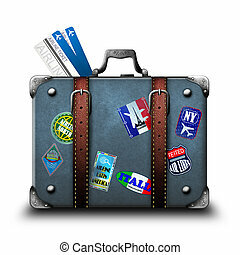 Old Suitcase Travel Stickers isolated with a clipping path.